This, is Feeding Tompkins. A collaborative project between WRFI News, the Ithaca College Park Scholar Program, The Ithaca Voice and Hot Potato Press. Over the next eight weeks, we’ll be exploring food insecurity in Tompkins County through the voices and stories of those most affected, and the organizations working to create change. By: Alison Fromme, originally published by Hot Potato Press. Fourteen thousand five hundred Tompkins County residents are food insecure, according to FeedingAmerica.org. That means 14% of residents here are unable to get an adequate amount of quality food on a regular basis. Who’s affected? What resources are available, and where do they fall short? When needs remain unmet, what are the consequences for individuals and our community? What new solutions are on the horizon? These are the questions posed by the Feeding Tompkins series. Links to each segment will be available here. 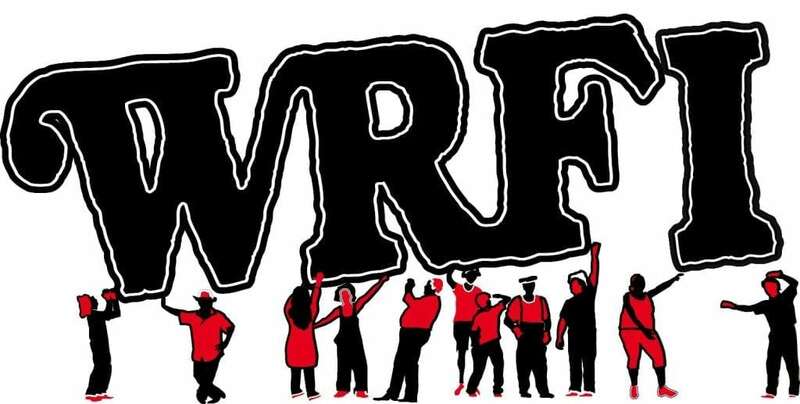 Listen to the first WRFI News report here, and read on for more details. Contrary to popular belief, there is no single profile of a food insecure person, according to Natasha Thompson, President of the Food Bank of the Southern Tier. “The majority of people,” she says, are “regular people.” More than half have one person in their household who is working. And about 5,500 of food insecure people do not qualify for the government SNAP program, but still struggle to put food on the table. The immediate causes of food insecurity vary, says Thompson. Sometimes people have lost a job, face a devastating health problem, or have encountered some other financial crisis, such as an expensive car repair, Thompson explains. Some people visit a food pantry once to overcome a short-term challenge, like after making an apartment security deposit. Others, such as seniors on fixed incomes, find themselves chronically food-insecure and return for years. Kids experience food insecurity at a higher rate than the general population. One-in-five Tompkins County children is at risk of hunger. Forty percent qualify for free or reduced lunch – a 5% rise in the past five years, and about equal to the national average. However, the numbers vary across districts: 50% of Newfield students qualify, compared with only 23% in Lansing. To help address the need, the Food Bank of the Southern Tier distributes more than 1.3 million pounds of food, including 250,000 pounds of fresh produce, annually to Tompkins County pantry and meal programs. The organization regularly purchases staples – like peanut butter, canned tuna fish, cereal, and soups – that make up about 25% of the total food distributed. The rest is either donated from across the country, explains Thompson, or originates from the US Department of Agriculture. A truckload of oranges might arrive from California, or a processing plant might donate pallets of canned asparagus spears. A variety of food, from oats to frozen blueberries, can be found at the Food Bank’s Elmira warehouse. Local partners use an online system to place orders with the Food Bank, which then delivers the orders to local pantries, such as Immaculate Conception, the largest in the county. One hundred percent of the Food Bank’s programs are “free choice,” says Thompson, and clients take only the food they want. At many pantries and meal programs, another organization, Friendship Donations Network, complements the food available with fresh fruits, vegetables, and breads rescued from disposal at stores, restaurants, farms, and colleges. Each year, Friendship Donations Network coordinates the collection and distribution of 500,000 pounds of perishable food that would otherwise end up in the landfill. 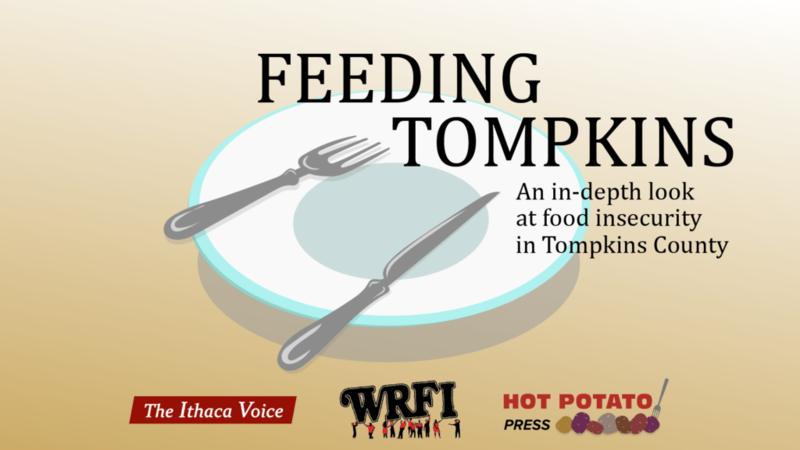 In Tompkins County, food pantries and free meals are offered seven days a week. And yet, Thompson says, it’s still not enough. The Food Bank alone provides 1.1 million meals each year here, but the total need is 2.5 million. And FeedingAmerica.org reports that the annual budget shortfall needed to bridge that gap exceeds $8.6 million. That’s about an extra $600 per person.